Charging scooters is the latest job offering in the gig economy. But what started out as an easy-if-not-obscure way to make a buck is quickly growing into a cutthroat pursuit for quarry. 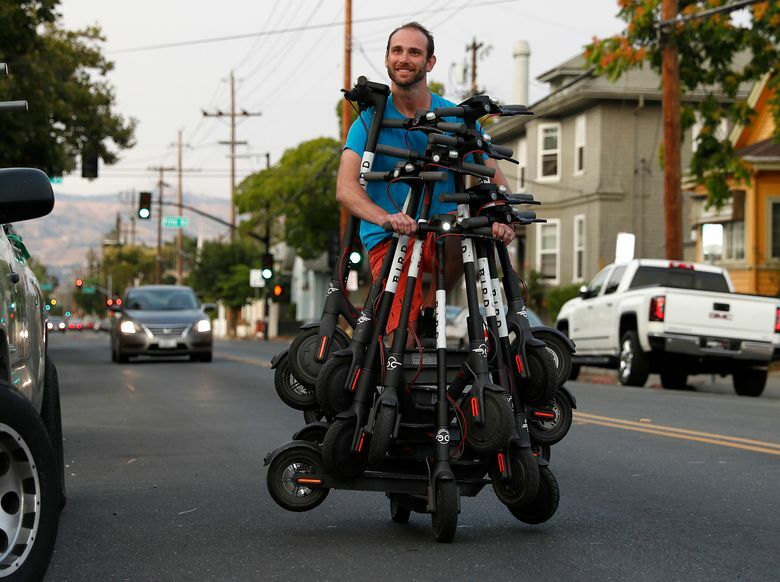 SAN JOSE, Calif. — Bobby Cruze looks like a stunt man as he zigzags on an electric scooter, balancing eight others behind the handle bars. What passers-by might think is a free talent show come to grace San Jose’s streets is really just Cruze’s evening job. As dusk sets in and dinner time nears, the scooter chargers come out to collect. By day, they lead lives as students, startup employees or even stay-at-home parents. By night, they enter the competitive world of hunting for Bird scooters or harvesting Limes. It promises a handsome payoff — but only if you can outpace and outsmart your competitor. The problem: Some chargers are going rogue. Many are increasingly collecting and hoarding scooters way before the 9 p.m. start time, chargers say. 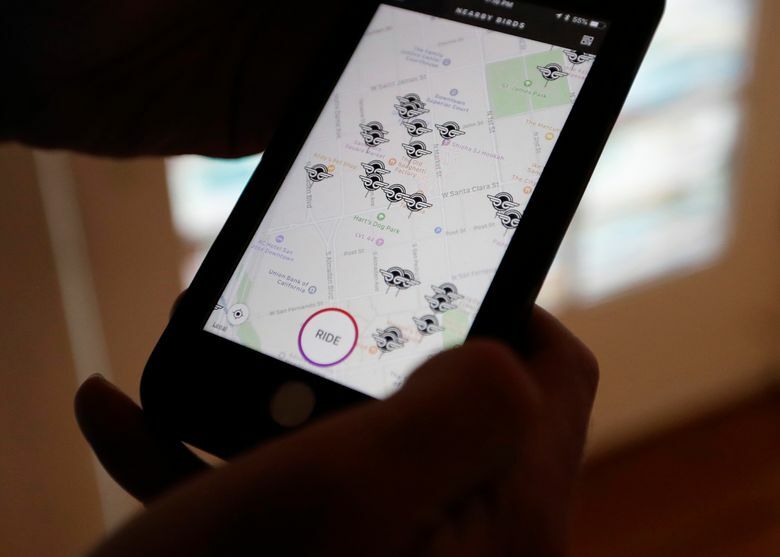 Clumps of Birds and Limes are showing up in what appear to be garages and backyards, throwing off chargers in search of clusters that look like mother lodes. “Some chargers are picking up scooters as early as 6 p.m.,” says Pela, who is a payment analyst for a local startup when he’s not collecting scooters. Last week, Cruze found out exactly how Bird is cracking down. 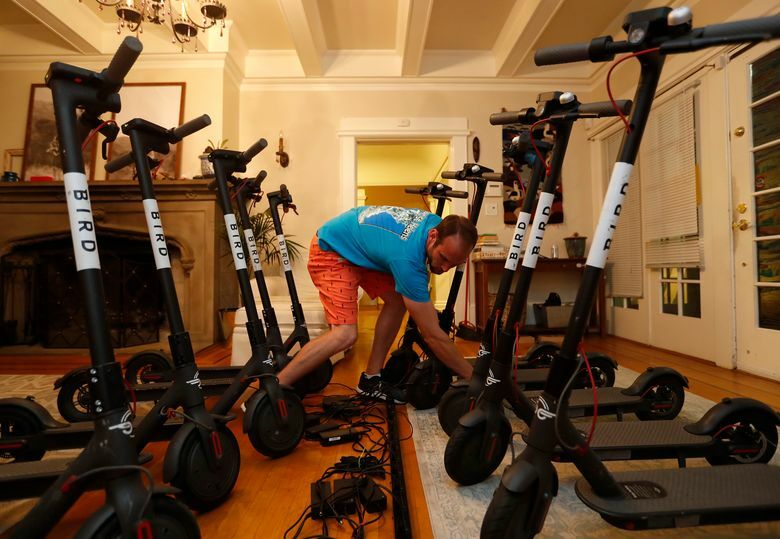 His account was blocked for collecting scooters before 9 p.m., and within minutes Dave E., the Bird supervisor, visited Cruze’s home to deliver an in-person warning and retrieve his scooters.